Belmopan. 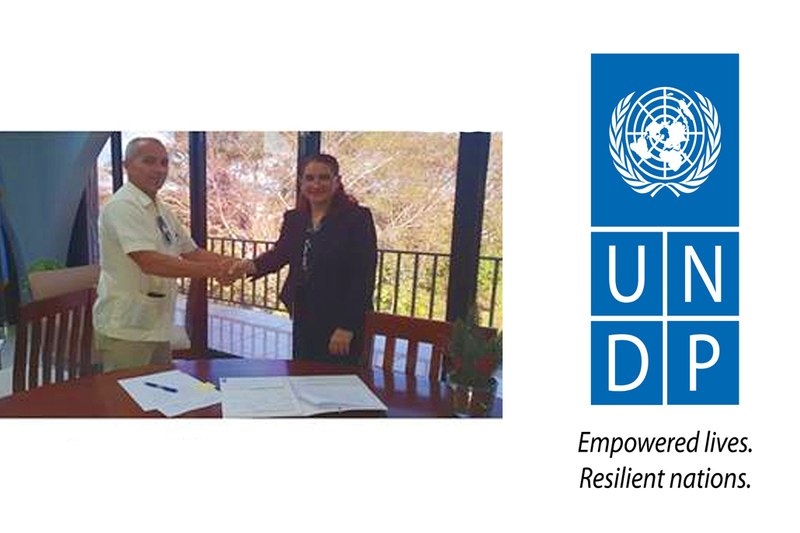 February 4th, 2019 – UNDP Belize and the Ministry of Health signed a new agreement to Build Resilience Through Innovation and National Accountability for the HIV and TB Response in Belize. This agreement signifies a further strengthening of the partnership between UNDP and Ministry of Health. UNDP is the Principal Recipient of a Global Fund Grant from January 2019- December 2021. The Ministry of Health is a key implementation partner and the agreement includes funding for the year 2019 in the amount of US$166,679 for innovative interventions to complement the funding available through the Government of Belize. The agreement also reaffirms UNDP’s mandate to strengthen the capacity of National entities in areas such as and not limited to grant reporting and financial management. CEO Figueroa signed the agreement on behalf of the Ministry of Health on 29 January 2019, highlighting the commitment of the Ministry of Health to reenergize and refocus efforts to reduce the number of new infections, detect those already infected and effectively treat them. Carla Zacapa, UNDP Resident Representative a.i emphasized the importance of the strong collaboration between Ministry of Health, the National Aids Commission and Civil Society Organizations so as to achieve and have meaningful impact on HIV and TB in the coming year.